Welcome monument for Nebraska located along Interstate 80. 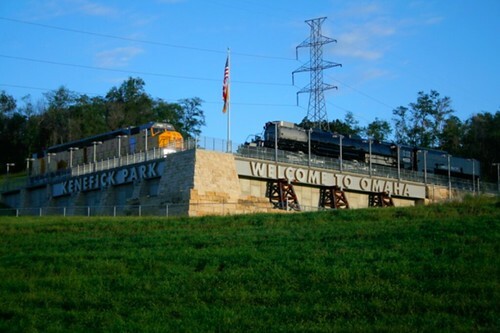 This project consisted of a master plan for Kenefick Park, which would honor the former Union Pacific President, Mr. John Kenefick and the innovation of the transcontinental railroad. 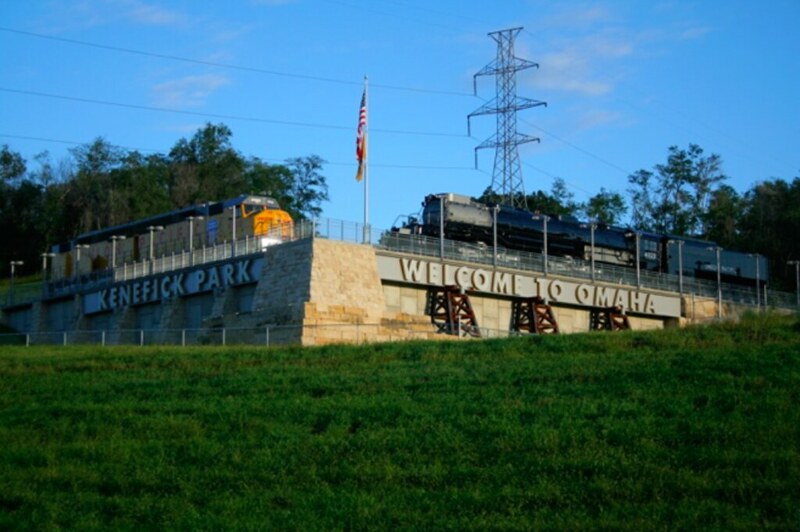 The park, located in Omaha, Nebraska extends a warm welcome to visitors along Highway 80. 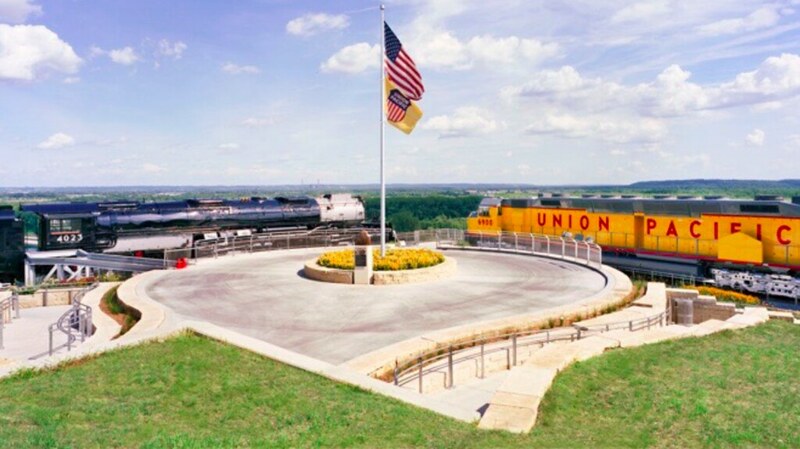 Infinite Scale combined artistic lighting, innovative interpretive designs and sculpture using materials that could withstand harsh midwestern weather. Infinite Scale also created a logo for Kenefick Park, which is used in merchandising opportunities.